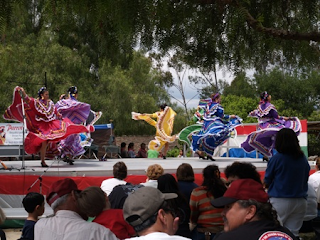 (Lake Forest, CA) - OC Parks and Heritage Hill Historical Park present the annual Rancho Days Fiesta on Cinco de Mayo, Sunday, May 5. Celebrating the 150th anniversary of the historic Serrano Adobe, Rancho Days Fiesta explores what it was like to live in California in the mid-19th century. Experience the sights and sounds of the past through music, dance, crafts, food and first-person re-enactors. Families can partake in hands-on activities that include adobe brick making, basket weaving, rope knotting and much more. Authentic horseback charros will perform. Dance groups will demonstrate the movements and songs from the Mexican Rancho era, Native American and English settlers of the region. A piñata will break every 40 minutes with treats for the children in attendance. All the historic buildings will be open for tours courtesy of Amigos de la Colina docents. Refreshments will be available for purchase and the SOHO Taco Truck will be serving on-site. The event will take place from 11 a.m. to 3 p.m. Admission is $4 for adults and $3 for children. Celebrate the legacy of early California with your family on Cinco de Mayo at Rancho Days Fiesta at Heritage Hill Historical Park. WHEN: Sunday, May 5, 2013 from 11 a.m. to 3 p.m.
OC Parks manages nearly 60,000 acres of parks, historical and coastal facilities and open space for the County of Orange as part of OC Community Resources.